FCBD is the 1st Saturday in May! Free Comic Book Day, a nationwide event, is almost here. On Saturday, May 4th we’ll be hosting FCBD at our Forest Hills shop. We have a lot going on so be sure to stop by. For Free Comic Book Day 2019, as always, we will be offering 2 Free Official FCBD comics per person- they will be located on the main shelf and every issue will bear the FCBD logo. We’ll also be selling our next wave of Royal merch! Our new shirt will be on sale ($15), along with a new tote ($10). The shirt is free with every purchase of $150 and the Royal Tote Bag is free with every purchase of $100. We know so many of you love Funko Pops and for this year, we’ll have a Spin the Pop Wheel for a chance to win prizes and discounts. Any Funko Pop purchase allows you to spin the wheel. 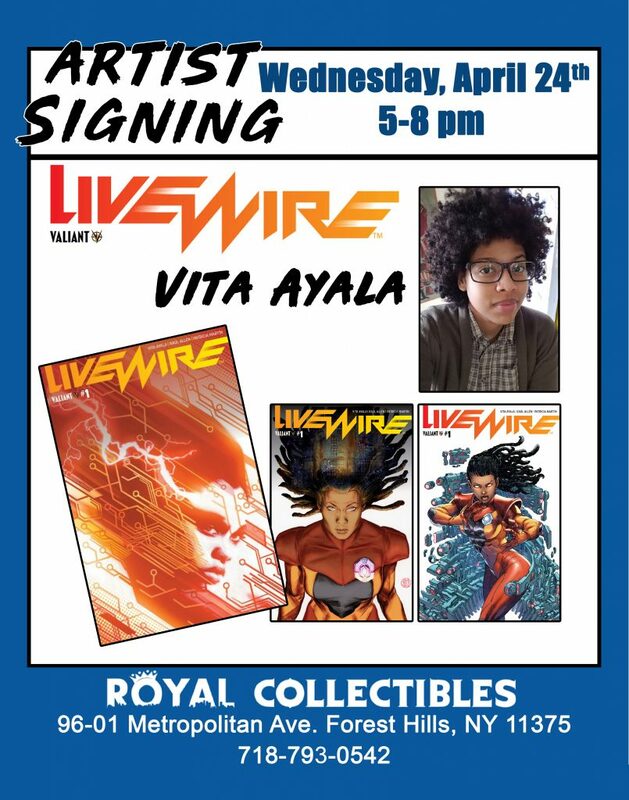 This is going to be a lot of fun and yet another activity to add to the excitement of FCBD! We hope to see you on Saturday, May 4th for Free Comic Book Day! 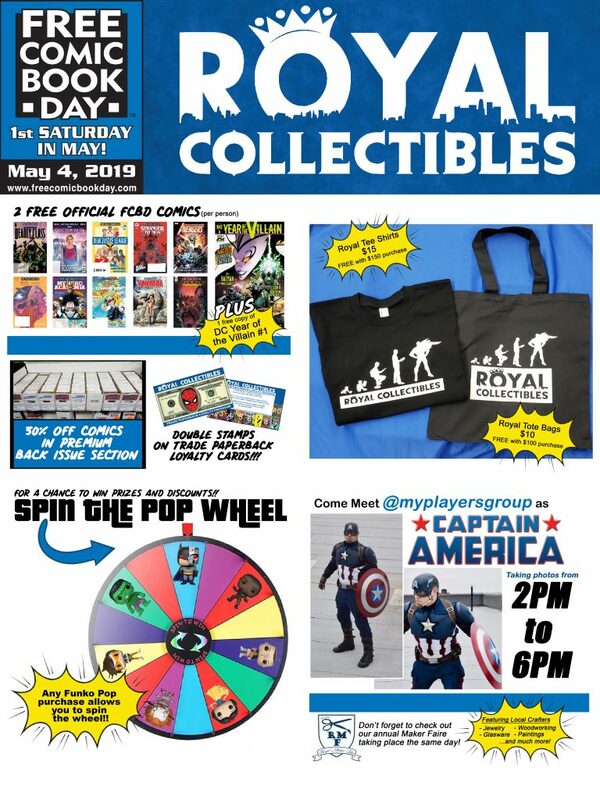 This entry was posted in General Info and tagged fcbd, fcbd 2019, free comic book day, free comic book day 2019, Royal Collectibles, Royal Collectibles Forest Hills on April 18, 2019 by admin.